Head lice treatment should begin as soon as you notice an active infestation in your or your child’s hair. Before you begin lice removal treatment, make sure that the infestation has not spread to other members of the household. Be sure that all clothes, bedding, or materials that could harbor lice are washed with hot water and dried in high heat. When your children head back to school, be sure to check out the steps below if they exhibit signs of a lice infestation. Make sure to remove clothing that you don’t want to get wet or stained during the medication/removal process. Apply the lice medication according to its instructions. Be sure to note how much of the medicine should be used and how long to treat the affected area(s). After treatment, put on clean clothing that has not come into contact with lice. Check the affected area(s) after 8-12 hours. 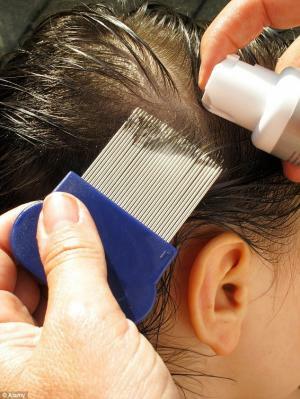 If the lice are dead or moving more slowly than before, do not retreat. Comb out the lice using a fine-toothed nit comb. If the lice are alive and moving as normal, you may need stronger medication. Contact a healthcare provider for another recommendation before retreating. Recheck the affected area(s) every two days and comb the hair thoroughly to decrease the chance of another infestation. Repeat this until there are no signs of lice. Some medical professionals may recommend retreatment seven days after the initial treatment to make sure all lice are removed. Children typically contract head lice at school. In fact, it’s estimated that 6-12 million children between the ages of 3 and 12 years old get head lice each year. Head-to-head contact with another affected child is a practically guaranteed way to contract an infestation. If you’re worried that your child might have head lice, contact a healthcare provider at your local FastMed Urgent Care. Our medical professionals are prepared to give comprehensive lice treatment to you or your child, whenever you need us.